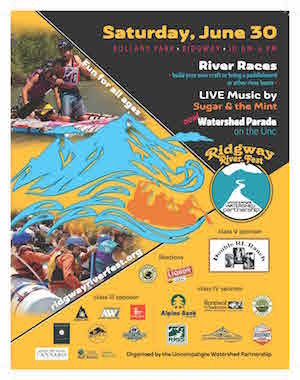 Download 11″x17″ or 8.5″x11″ Poster, Share Online and Print – Get the word out about the 11th Annual Ridgway RiverFest! 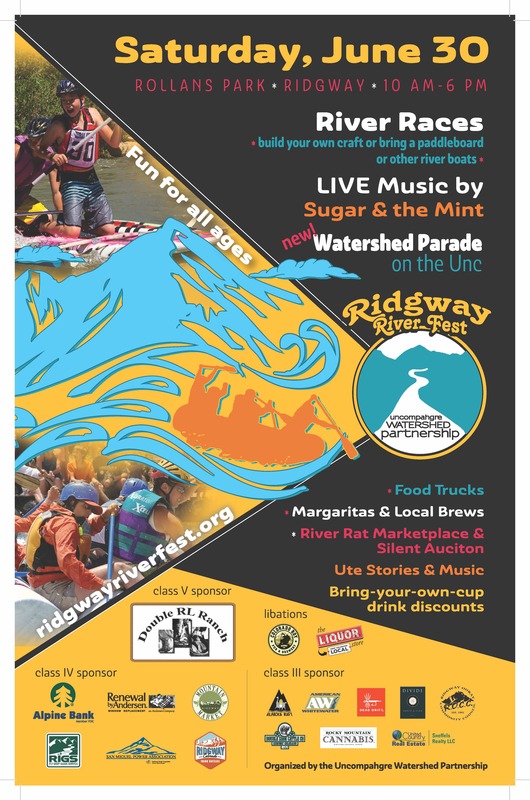 Though low river flows may make our on-water activities more difficult this year, we still have great music, awesome deals in the River Rat Marketplace & Silent Auction, and fun for all ages planned for Saturday, June 30. See you there!